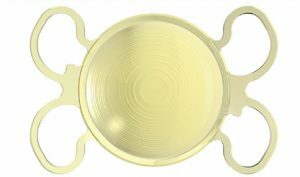 In what circumstance would a contact lens trial be necessary prior to having lens replacement surgery? If you are above the age of 40 and considering lens replacement surgery, whether that be to rid yourself of cataracts or just to simply rid yourself of those pesky glasses for driving and reading, you may be considering refractive lens exchange as a permanent fixture. There are various visual outcomes available to consider which your eye doctor will cover with you but the main visual outcome that requires a contact lens trial is most commonly known as ‘monovision‘. This involves your Ophthalmologist correcting your dominant eye for distance vision and your non-dominant eye for near vision. The two eyes then work together to create a blend with your vision where the dominant eye for whatever task you are performing (driving / reading / cooking) allows clear vision. A degree of fine tuning is involved from the Ophthalmologists perspective after performing an in-depth eye assessment. The Ophthalmologist will take into consideration your prescription, your most commonly performed daily tasks and the artificial lens type to ensure the best possible vision for you. These are just a few aspects to consider when assessing suitability for a monovision lens replacement procedure. 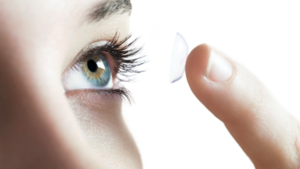 What does a contact lens trial consist of? Your eye health care professional will fit a contact lens into either just one or both eyes depending on your current vision. We recommend you trial the lenses during the day and into the evening as night vision can be effected by monovision with some patients experiencing a higher level of glare or starbursts from artificial light. This is most prominent when driving at night. It is recommended that you go about your usual daily tasks and anything extra you feel pertinent to the outcome you desire. If you have not worn contact lenses before, training on how to remove the contact lens(es) will be given during your fitting appointment. You will also be provided with a video link and information sheet on how to safely remove them. Rest assured that removal is usually very simple and you can contact the out of hours service should you experience any difficulty. You will be asked to complete a questionnaire detailing your response to different factors such as your distance vision during the day and at night, your near vision during the day and night and your intermediate vision during the day and night. You will be asked to rate your vision from 1 to 10 for various tasks and make any comments you feel necessary. 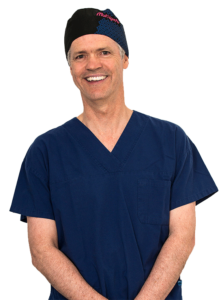 Your Ophthalmologist will assess your questionnaire and confirm that surgery is fine to proceed based on their current calculations or if you require any tweaks which may require a second contact lens trial. Is the contact lens trial a perfect simulation of post-operative vision? No. It is impossible to create a perfect simulation of post-operative vision although we endeavour to create as accurate a simulation as possible. Cataract patients in particular who have reduced vision caused by the diseased lens will not experience a true simulation of post-operative vision. The contact lens trial in this instance, is simply to determine eye dominance and whether or not an increased sensitivity to light at night will prove problematic. Overall, the contact lens trial is a good simulation of post-operative vision but the reasons for requiring the contact lens trial go beyond demonstration for the patient. It assists in data gathering for your Ophthalmologist. What if you cannot tolerate monovision? What are your options? Thankfully, there are other types of visual outcomes that may better suit your needs. Monovision is not for everyone. Approximately 20% of people’s brains cannot tolerate the difference in vision between the two eyes and this is usually apparent immediately once the contact lens(es) have been inserted. In some cases, intolerance is not apparent until the patient has experienced monovision at night time. They may have an increased sensitivity to light, experiencing substantial glare and halo’s deeming them not suitable for this visual outcome. Distance, intermediate and near vision can be achieved unaided and are an alternative for those that do not tolerate monovision. Using newest available lens technology, FineVision, created by Bausch & Lomb, many patients don’t need to wear glasses for everyday tasks such as driving, reading the car speedometer or even using their smart phone. This visual outcome which is the same in both eyes, rarely requires a contact lens trial. 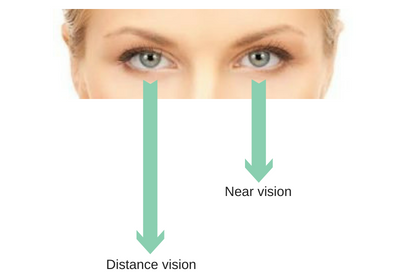 Single vision lenses are used to correct the distance vision to achieve clear unaided distance vision. In most cases, the patient will require near vision glasses for reading and other near vision tasks.